Lewis Smith Lake, commonly referred to as “Smith Lake”, is considered the 2nd cleanest lake in the country, behind Lake Tahoe! 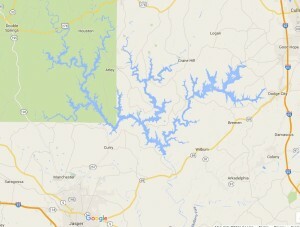 One big reason is that Smith Lake is a watershed lake with the water coming from very rural areas. There is no major river coming into the lake, rather a number of smaller rivers and creeks. Smith Lake is almost 300′ deep in places and most channels are well over 100′ deep. These depths contribute to the lake being cooler and cleaner. 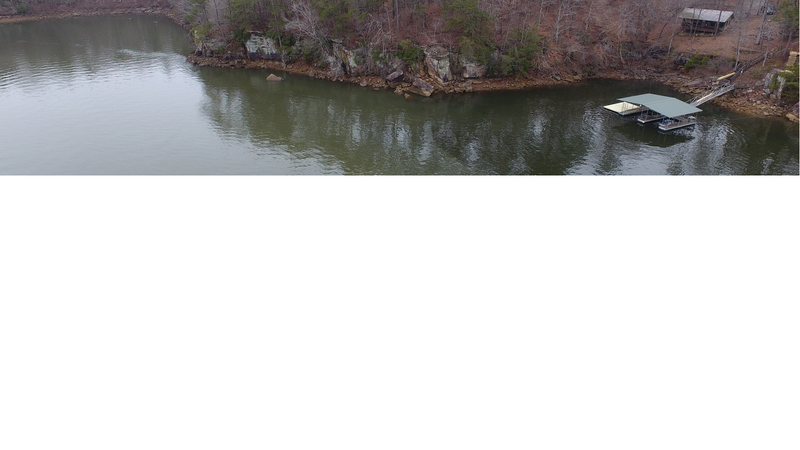 Smith Lake is located an hour northwest of Birmingham, AL. It is just west of I-65 and north of I-22. Cullman and Jasper are the two largest home cities with full services: hospitals, grocery, etc. Smith Lake Rentals started in 2004 when Maura and Jeff Thomas recognized a need on the lake. We started small by renting out our own cabin (Soliloquy), which allowed us to learn the ins and outs of the vacation rental business. We now manage an inventory around 30 lake homes which allows us to meet almost any need. Andrea Moates joined us in 2011 to manage our reservations and cleaning crews. If you call our reservation number you will be talking to Andrea. Our years in the business provide us a loyal customer base as we have served over 4000 guests. We average around 400 bookings a year and 1600 nights. We are very appreciative of our home owners for allowing us to share their lake homes, and all the guests for allowing us to serve their Smith Lake vacation needs. In 2013, Jeff retired from the software industry and started working full-time at Smith Lake. 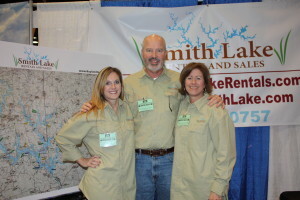 At this time, “Smith Lake Rentals” became “Smith Lake Rentals and Sales” as Jeff started putting his knowledge of the lake and properties to use serving Buyers of lake homes and land. Jeff keeps his number of buyers low so he can focus on finding the perfect property for his clients. See our sister website at smithlakerentalsandsales.com to learn more about purchasing a home or land on Smith Lake.